What does it all mean – Edge Computing? 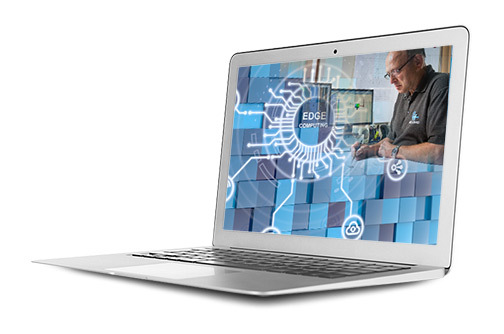 Potentially the next significant tech trend to find its way into the manufacturing sector, ‘edge computing’ describes infrastructure which allows data processing and analysis to take place as close to the data source as possible and resolve problems incredibly quickly. In many environments data loses its value if it isn’t analysed fast enough. Edge computing and analytics have the potential to solve this problem. Devices such as security cameras, smart phones, machine sensors and thermostats all create data, leading to a volume of streaming and sensor data that threatens to overwhelm today’s traditional data analytics tools. Increasingly small and medium sized companies, such as the Goodfish Group, are able to use edge computing to drive quality and service improvements in manufacturing facilities. Edge computing moves data collection and analysis away from centralised points to the limits of the network, decreasing the volumes of data being moved, the distance data travels and reducing transmission costs. Edge computing also reduces dependency on the core computing environment, removing a potential bottleneck, security risk and a possible point of failure.